Did the Yankees err in dealing AJax? In case you haven’t noticed, Austin Jackson has been absolutely tearing up the grapefruit league, while teammate Johnny Damon hasn’t been that far behind. So, did the Yankees make the right decision by essentially replacing Damon with Granderson and jettisoning Jackson for the honor? Obviously, it’s way too early to answer that question. Similarly, the jury is still out on the virtual swap of Hidecki Matsui for Nick Johnson. As the season progresses, we’ll keep track of all five players in the sidebar to the right. In the meantime, provided below are the final spring training numbers for all. I’m going to miss Damon and Matsui soooo much, the stats hardly matter to me. I know what you mean…each had their own unique personality that made them fun to root for. Sometimes the right move isn’t always the one that feels right. 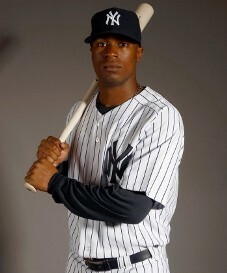 Curtis Granderson is great–making the loss go down a little bit easier. I’m not sure about Nick Johnson. Q: Are you going to be tracking the stats of the five guys you mention above? I hope so: I’ve bookmarked you, planning to check in from time to time. Yep…once they all have a game in the books, I am going to add a widget to the sidebar tracking their performance. If Johnson stays healthy (a big if), he’ll be fun to watch too…especially when he drives pitchers crazy by taking a ton pitches.